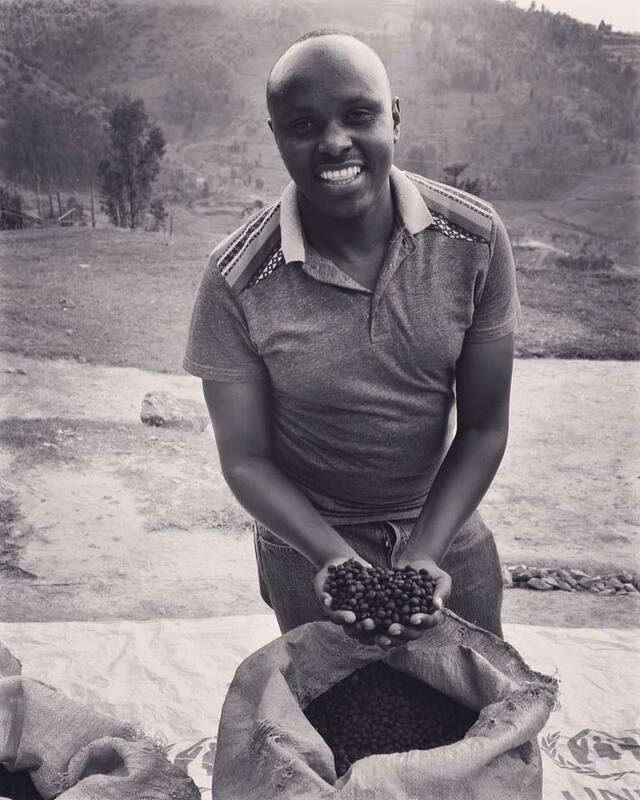 15 Dec Rwandan Natural Has Landed! We have such amazing memories of our origin trip to Rwanda last year and one of the highlights was hanging out with the awesome Sam Muhirwa of Buf cafe. When we visited his washing station at Nyarusiza we were super excited to see that he was starting to experiment with natural processing. Rwanda is not well known for its natural processed coffees. After the horrors of 1994 genocide, aid programmes invested heavily in the region with the establishment of washing stations and a focus on the production of fully washed coffee. As a result there was a shift in the country to quality rather than quantity and now nearly half of Rwanda’s coffee production can be classified as speciality. We love the fact that Buf are now starting to produce high quality natural processed coffee and the result is testament to the great care and diligence they take in their work. Our first bag of Rwandan Buf naturals has now landed and we can’t get enough of the boozy, fruity notes we get in the cup. Needless to say it makes an amazing espresso and we have just sent a box down to the good people at Urban Angel on Edinburgh’s Hanover Street.